Keith Stubbs is a funny comic. 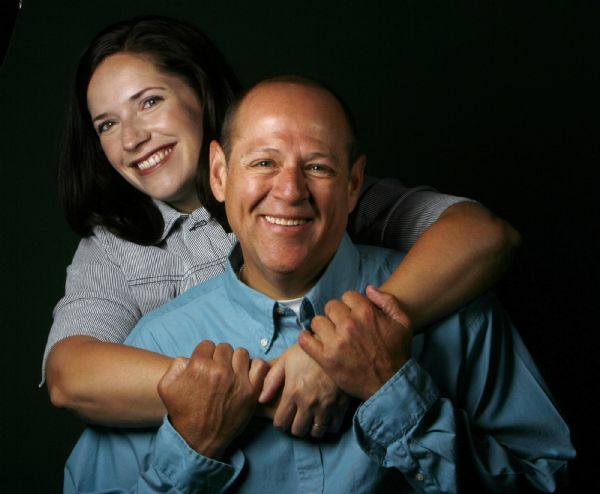 It's easy to temporarily forget that fact, considering the business acumen he and his wife, Noelle, have demonstrated over the years, building from scratch a successful comedy chain that is essentially the only game in town if you want to hear live comedy. Sure, he owns four Wiseguys Comedy clubs, including his dream club, the new Trolley Square location, which opened in April. 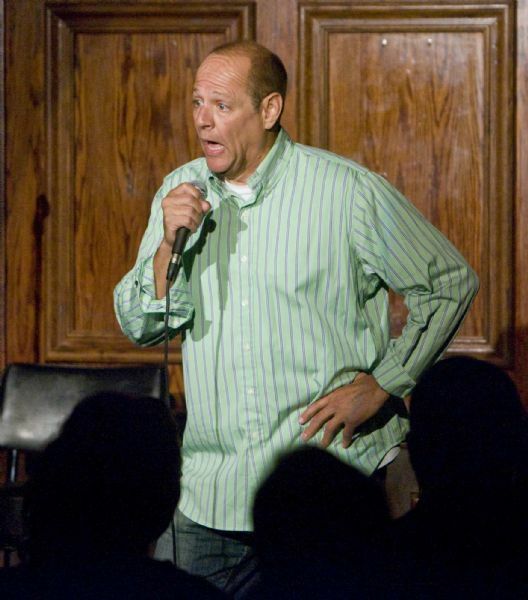 But first and foremost, the 49-year-old Ogden resident wants people to remember his stand-up act. "I like the comedy club business, but I love performing," he said. In fact, he headlined his West Valley WiseGuys club last weekend. But Stubbs might not get what he wants, despite his cartoonish-in-a-good-way appearance, with a bald head hovering over a wide-eyed, expressive face that perfectly mimics the hilarious sentiment he's trying to convey. He's known as a mentor and a businessman -- and that's not such a bad thing for Utah. Since 1996, when Stubbs opened his first WiseGuys club in Ogden, he has opened clubs in West Valley, Orem and now Salt Lake City. Besides attracting top-name national talent to Utah, he takes pride in helping launch the next generation of local comics. "Keith is very generous about giving young comedians opportunities," said Noelle Stubbs, his wife and business partner. "He knows how to relate to other comics." Stubbs also hosts "The Stubbs Show" on The Eagle 101.5 FM every weekday morning between 6 and 10, along with raising four young children. (He also has a 24-year-old daughter from a previous marriage.) "If I could nap, it'd solve a lot of problems," Stubbs joked. In his former life, Stubbs was a stockbroker -- one of the least humorous of careers -- in Los Angeles and New York City. He longed to try his hand at comedy, but didn't want to leave the job security of PaineWebber. He was discovered, inadvertently, while emceeing a company event at which Sinbad's manager happened to be in the audience. After honing his act at open-mic nights in Los Angeles, Stubbs left the financial world in 1991, loaded up his Geo Metro and took his act on the road. For six years, he spent 44 weeks annually performing at clubs all across the country, developing a quick-witted routine that led him to open for Trace Adkins, Sinbad, Gladys Knight, Frank Caliendo, Lewis Black and Little Big Town. Stubbs moved to northern Utah in the mid-1990s, wanting to set down some roots and get out of Los Angeles. 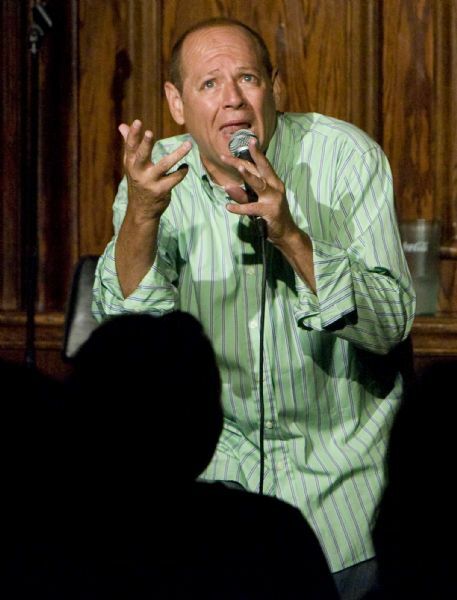 With his years of comedic experience, he figured he'd be able to perform regularly at the comedy clubs along the Wasatch Front. But he was blown off. At all three clubs. In one night. Stubbs had had his share of "comics being treated rudely and horribly." At one gig in Tucson in the heat of summer, there was no hotel for him or the other comics after their late-into-the night acts -- only an un-air-conditioned condo where the opening act was relegated to sleeping on the couch. Determined to provide a place where he and other comics wouldn't be treated like cattle, he opened his first WiseGuys club, and for more than a decade has continued building the business, including taking over the vacated Hard Rock Cafe in Trolley Square earlier this year and opening his dream: a downtown comedy club. In the process, Stubbs also became a restaurateur, which he terms both exciting and overwhelming. While his other clubs serve appetizers and pub food, his newest club is attached to a full-service, casual American restaurant, Poundcakes Eats & Entertainment. Noelle helped with the menu, "making sure he added some salads," she said. Contacts developed from years of performing have helped Stubbs book top-tier talent in his Utah clubs. Just as important, he has earned a track record of breaking comics such as Carlos Mencia, Lewis Black and Frank Caliendo in this market years before they became famous. For example, in 2008 Stubbs offered Joel McHale, the host of the popular E! TV show "The Soup" and star of the upcoming NBC sitcom "Community," his first headlining gig anywhere. McHale was particularly grateful for the gig, as at the time, he had no stand-up experience. Although McHale's agent just wanted him to emcee the show, Stubbs took a risk. Sensing that McHale was a star in the making, Stubbs booked him for two shows -- and because those sold out so quickly, he added two more. This June, just a year later, McHale headlined at a packed Abravanel Hall. 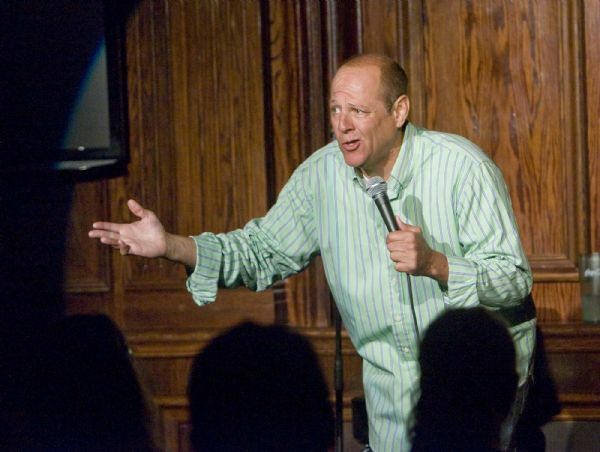 Besides attracting big names like Tom Arnold, who performed at the West Valley City club on Friday, Stubbs has helped young, local comics on their acts. 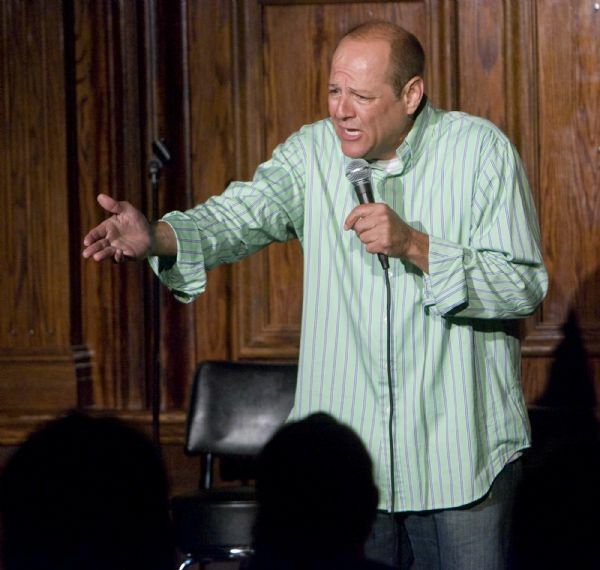 Rodney Norman, who now lives in Connecticut and performs stand-up in New York City and Boston, credits Stubbs for helping start his career. "He was taking a chance on me," Norman said. "Every time he puts someone on a stage, he takes a gamble." After performing in Kansas City for a year, Norman moved to Utah and became the house emcee for several years at the West Valley club. Stubbs spent hours mentoring him on what it takes to make an audience giggle or guffaw. As a club owner, Stubbs' approach differed from those clubs that initially snubbed him, Norman said. Incidentally, all of those clubs have since closed down. "Before Keith, [the other clubowners] would bring in outside acts [exclusively]," Norman said. "He changed that. He was the first to work with local talent and help them." Because he's good-natured onstage, some might underestimate his business savvy, said Dee Dee Hill, general manager of local ticket broker SmithsTix. "He is, quietly and politely, very persistent," said Hill. He has a good relationship with comics and comics' agents because he knows how they want to be treated. On top of that, he pays comics on time, treats them professionally -- and when comics are happy, audiences are happy, she said. Most important, Stubbs has ambition, a quality that helps in the business world. "I ask him all the time, 'Are you out to conquer the world?' " Hill said. "He is the King of Comedy, especially here." "I'm very lucky to come from a scene in Utah that's very nurturing of young talent," said comic and BYU grad Ryan Hamilton, who now lives in New York City and will headline at the West Valley club on Aug. 21 and 22. "A lot of it comes from Keith's doing. He has built these clubs that bring in nationally touring comedians and more local talent that any other place I've been. He uses so much local talent, so he takes risks all the time." Taking a risk on Stubbs was Simmons Media, which has featured the comedian as a morning radio host for more than four years. "When we cast him in the role, he didn't have a radio background," said Craig Hanson, president and chief operating officer of the Salt Lake City-based Simmons Media. "He was fresh. He is just a funny human being. He's a natural talent and entertainer. We're lucky to have him." Being on the radio every weekday morning keeps him fresh, Stubbs said, something he employs in his always-evolving stand-up act. That's why he continues to be a successful stand-up comic, according to those in the business who continue to learn from him. "He's one of my favorite comedians to watch," Hamilton said. No matter how serious he is about the comedy business, in an interview he underscores that he wants to be known for his act. He knows there's little respect in comedy. When he told his mother and some of his Mormon friends he was changing careers, "the reaction was like I was a stripper." For information on upcoming performers and schedules, visit http://www.wiseguyscomedy.com" Target="_BLANK">http://www.wiseguyscomedy.com.